The incrementing demand in the global cataract market is a reflection of growing geriatric population, as people aged over 60 years frequently develop conditions wherein eyes have reduced elasticity and in turn affects the normal functioning. The market for cataract is also expected to gain from awareness programs such as VISION 2020, launched by the WHO and the International Agency for the Prevention of Blindness. Primarily, there are four types of cataract products, phacoemulsification devices, IOLs, OVDs, and femtosecond lasers. Among these, phacoemulsification devices serve the maximum demand and are expected to remain most profitable segment with the advent of new-age technologies, which have significantly reduced the cost of these products as well. As far as the competitive landscape of the global cataract market is concerned, it is highly competitive, owing to the presence of a number of regional and global vendors who offer diverse devices. In the near future, the leader of the cataract market is expected to emerging from strategic collaborations to expand geographical reach and research and development of new products. Some of the leading companies currently operational in the global cataract market are Abbott Medical Optics, Alcon, HOYA, and Bausch and Lomb. 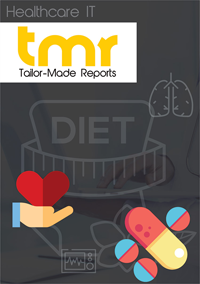 This report on the global cataract market has been developed to serve as a dependable decision making document for stakeholder of the market, analyzing all the factors that may impact the inflow of the demand as well as catching the latest trends. A cataract is an ocular disease in which the lens of an individual’s eye degrades progressively and turns opaque, resulting in blurred vision. If ignored, the condition can lead to vision loss. Cataracts progress slowly with age and people commonly do not realize that they are suffering from cataract as it grows very slowly and may not impede the vision immediately. The key cause of a cataract can depend upon its type. There are still some common factors that are related to cataracts, including age, trauma, skin diseases, radiation, use of drugs, genetic factors and medicinal side effects. Various diseases such as diabetes, infections, congenital conditions, infections and other eye diseases also augment the threat of cataracts. It is diagnosed using tests such as dilated eye exam, visual acuity test, and ocular tonometry. The key preventative activities that could minimize the threat of cataract are quitting smoking and avoiding harmful radiation exposure. The market of cataract is segmented on the basis of types of cataract, into age-related cataract, congenital cataract, secondary cataract, traumatic cataract, subcapsular cataract, cortical cataract and nuclear cataract. The global cataract market is also segmented on the basis of treatments, into surgeries and laser treatments. Surgeries include extracapsular cataract extraction (ECCE) surgery, intracapsular cataract extraction (ICCE) and phaco (phacoemulsification). The geographical segmentation of the global cataract market reveals details on the key regions of North America, Europe, Asia Pacific and the rest of the world (RoW). North America was the dominant region in the global cataract market in terms of demand and rate of development in 2016, owing to a steadily growing incidence rate of cataracts. On the other hand, Asia-Pacific, The Middle East and Africa, and Latin America are the showing a high level of promise in the upcoming years, owing to a rise in awareness of cataract complications and the growth of their medical industry in terms of infrastructure development. The global cataract market is anticipated to witness a steady rate of growth from 2017 to 2025, supported by factors such as the rising aging population, an increasing prevalence of cataract, and technological advancements made in the field. Since aging is the key growth factor of global cataract market, it is anticipated to show a steady growth rate with the increasing in geriatric percentage. According to the United Nations’ Department of Economic and Social Affairs Population Division, the number of people above the age of 65 years is projected to grow from an estimated 524 mn in 2010 to approximately 1.5 bn in 2050. This is therefore likely to become the leading factor promoting a heavier demand for cataract treatments over the foreseeable future. According to the statistics provided by CataractSurgery.com, cataract is the leading cause of vision loss in people with age 55 years or above. Moreover, according to projected estimations of the U.S. National Eye Institute, the number of cataract diagnosed population would increase from approximately 24.4 mn in 2010 to 50.2 mn by the end of 2050. This rapid growth in cataract patients is expected to allow the global cataract market to growth at a very fast pace. However, the ignorance of preliminary symptoms and an overall lack of medical infrastructure in developing economies of the world are the key restraints of the market currently. The major players operating in the global cataract market include Carl Zeiss Meditec AG, Abbott Medical Optics, Inc., Hoya Corporation, Alcon, Inc., and Bausch & Lomb, Inc.